Country Lane Furniture is your source for Amish-made furniture. Not only are we a leading provider of solid wood furniture to residents and business owners in Pennsylvania, we are also known across America and will ship as far as California and Alaska! 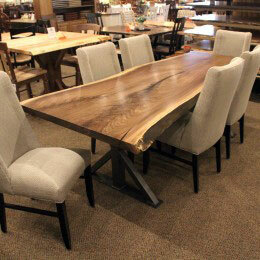 All of our hardwood furniture is made of solid maple, cherry, oak, elm, and walnut. Dining room, bedroom, office, entertainment, and sewing/quilting cabinets are just a few of the many products we carry in our 36,000 square-foot showroom, just minutes off the PA turnpike! Our handmade Amish and Mennonite furniture is made with the finest selected hardwoods. Our craftsmen pay close attention to detail and take great pride in the quality and beauty of the finished product. When you buy from Country Lane, you invest in the best quality and you enjoy a work of nature, the warmth and beauty of our genuine hardwood handcrafted furniture. 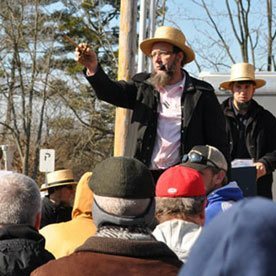 Buy from Country Lane Furniture and experience the Amish furniture difference, you’ll be glad you did! We understand that having a variety of choices is important to today’s furniture buyers. That’s why we give our customers the option to select from our huge inventory of in-stock solid wood furniture or we will help custom design a piece with you, keeping in mind your user-friendly aspects. Our master craftsmen will bring your design ideas to life by constructing the piece to your exact specifications. Choose from a large selection of high-quality finishes, including stains, paints, two-tone paint and stain combinations, and hardware which also comes with many options from renaissance to contemporary and many other unique choices. We’ll assist you, or you can assist us, throughout the entire process, including the selection of the most appropriate solid hardwood, choice of the paints and/or stains, or aging processes such as hand-hewn, hand planed, or distressing that best complement the decor of your home or office. Our service area is pretty much wherever you live! 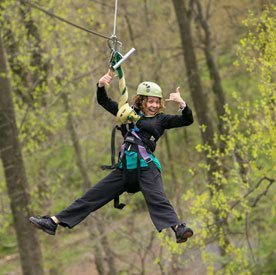 In addition to serving the immediate area surrounding our Annville, PA store, we deliver to locations throughout PA and all across the USA! So whether you need delivery of Amish furniture in Maryland, Virginia, New York or just about anywhere else, we can accommodate you! 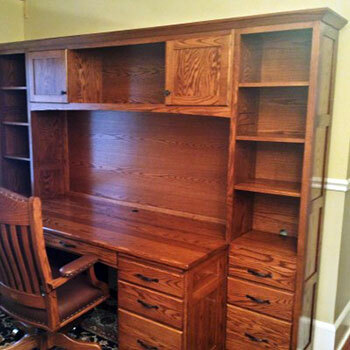 Most handcrafted furniture items in stock are available for pickup at the time of purchase. 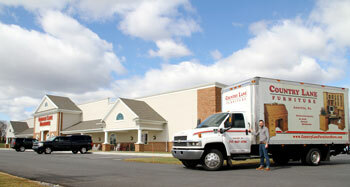 We can also arrange for delivery on our trucks or by freight to all states. Overseas deliveries can be arranged as well.